Il Best Western Plus North Lakes Hotel è situato nel centro di North Lakes. L'hotel è vicino alle principali attrazioni turistiche. Approfittate tutto l'anno del miglior prezzo garantito e di offerte esclusive. 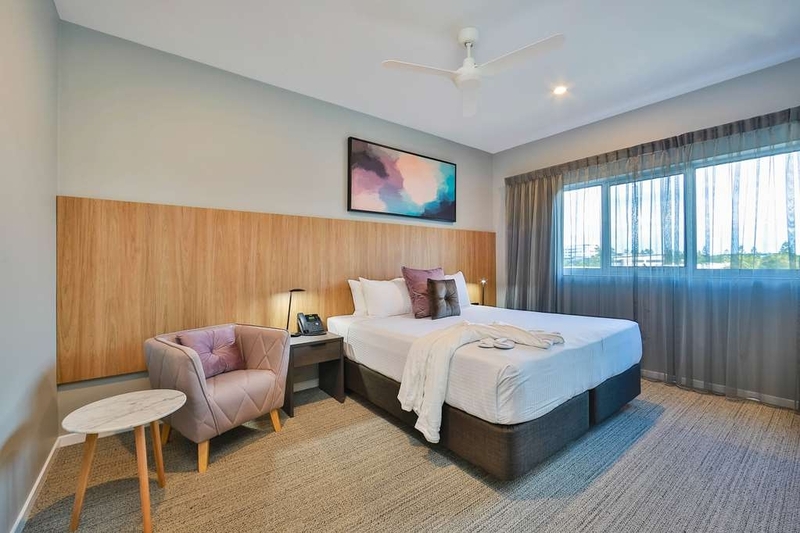 Inaugurato all'inizio del 2018, il Best Western Plus North Lakes Hotel è un nuovo hotel a 4 stelle e mezza a North Lakes, in Queensland, situato a pochi metri dalle acque del lago Eden. Il Best Western Plus North Lakes Hotel comprende 46 camere luminose e arredate con gusto, oltre a 4 suite di lusso. Le nostre camere sono dotate di letti king size, balcone e accesso Wi-Fi a Internet ad alta velocità gratuito e offrono gli ospiti una vista rilassante sul vicino lago. Gli ospiti sono invitati ad approfittare degli 80 chilometri di percorsi pedonali e ciclabili per esplorare la suggestiva zona circostante in modo rilassante e sicuri. Il Best Western Plus North Lakes Hotel è lieto di proporre sale belle e versatili per meeting, conferenze e riunioni. Le nostre sei sale per riunioni sono situate su tre livelli, inclusa una cantina, e possono essere allestite per eventi più intimi o di dimensioni più grandi. 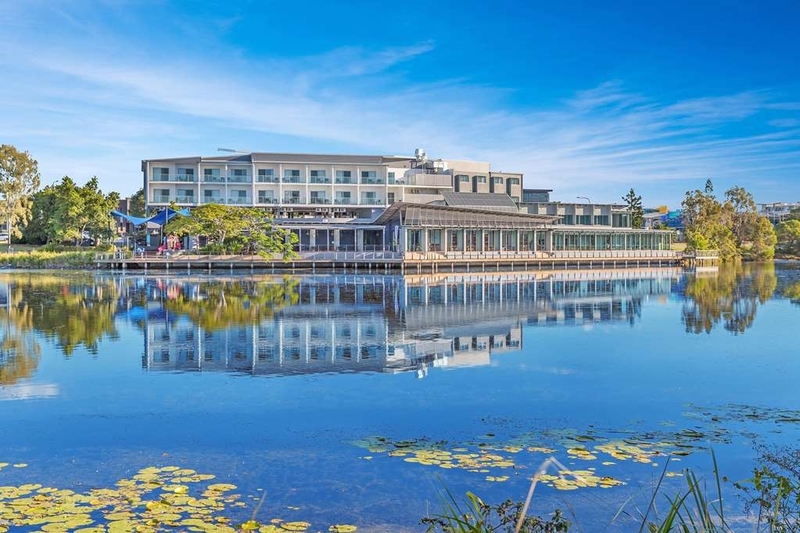 Il Best Western Plus North Lakes Hotel gode di una splendida posizione sul lago ed è perfetto per l'organizzazione di ricevimenti nuziali e feste private. 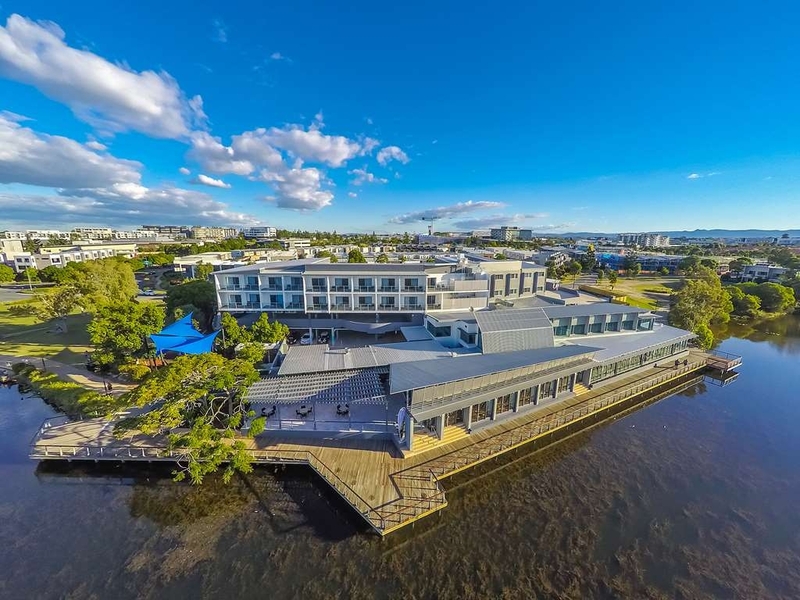 Il Boardwalk Restaurant, il ristorante dell'hotel con licenza per alcolici, è l'ideale per rilassarsi davanti a una splendida vista sul lago. La cucina è rilassata e il ristorante è aperto agli ospiti dell'hotel e al pubblico per colazione, pranzo, cena e bevande 7 giorni su 7. "GREAT HOTEL PITY ABOUT THE FOOD"
We stayed here for 6 nights the room was great large size with king size bed, fridge, kettle, There was complimentary water. The bathroom was a good size with a large shower. This really is one of the better rooms iv stayed in ticks all the boxes. I do think the hotel is let down by the food the evening meal is ok at best and expensive for what it is. The Breakfast was really bad with the food that looked like at had been sat in heaters for to long and I suspect that so of the food is prepared the day before as there are no staff on site over night, I would advise to avoid at all costs there are plenty of cafes nearby. Our room faced the lake the views were great but our room was over a child's playground which is in use from dawn to dusk and then latter on by juveniles drinking and smoking the noise from this can be a problem for some and I would advise you ask for a room on the left side of the hotel looking from the road. There seems to be a problem with juveniles in the area we witnessed three incidents between security and juveniles close to the Westfield centre. I think the hotel needs security. We also had the fire alarm go off at 1:30 ish in the morning and this was a debacle as there was no one from the hotel on site which was almost unbelievable with a member of the public falling in the fire escape and no one knowing what was going on. What a diamond. This Best Western will not disappoint. You will rest your head and get a great breakfast. Ease of access to highway and all the local shops were perfect. A quick drive to Brisbane city. Hi scrave425146 Thank you for this awesome review, we are in a great location. We hope that you come back soon. The apartment was nice and clean and the bed was comfortable!! Only down side was the fans outside were so loud we had to close the windows so we couldn't have fresh air coming in :( but great otherwise! Hello steviecargill Thank you for this lovely review. We have upgraded the extractor fans to lessen any noise that may be coming through. We look forward to welcoming you back again soon. "Review of the restaurant only"
Today (1st of October 2018) waited 45mins for our coffees and scones, we had to go and ask for them. Apparently they had been forgotten. Then they served other (new) customers instead of dealing with our coffees as priority ( which should have been a priority at this point). Then we still got the wrong coffee. The two young weitresses were both nice though (boy and girl, neither had anything to do with our order, it was the staff behind the counter) but we left in the end (without the other coffee as it got tooo annoying). I have been here 3 times now and every single time had to wait for ages for my order. I thought things may have improved but clearly not. It is a real shame as this would be a very nice place otherwise. Wont be coming anymore (sadly). Things really need some improving. Hello Choosewisely880 Thank you for taking the time to leave your comments regarding your experience at our restaurant. It is sad to read that we were unable to provide you with a positive experience. I can assure you that the relevant managers have been spoken with to ensure that we don't let this happen again. We do hope you will give us another opportunity to provide you with a great experience. We stayed at the Best Western Northlakes for a quick breakaway and were impressed with the level of service and cleanliness of the rooms. The staff was extremely helpful and the hotel is situated conveniently close to all amenities. Hello abelerasmus2018 Thank you for your great review, it is a pleasure to see that the pride staff take in their work is showing through. We do hope to welcome you back again soon. Our stay was short but it was great! 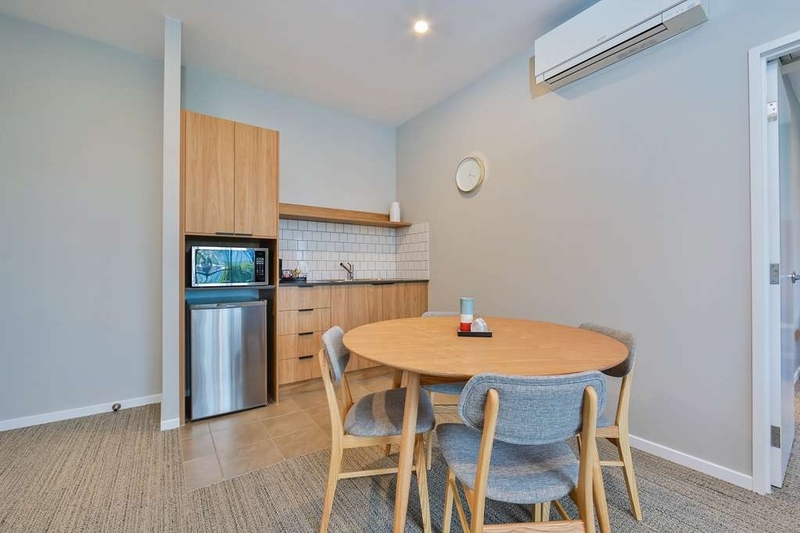 Very clean and accomodating for all. There is a pool that regardless of the cold weather the children still had a swim. Reception are great very polite and helpful even before arriving. 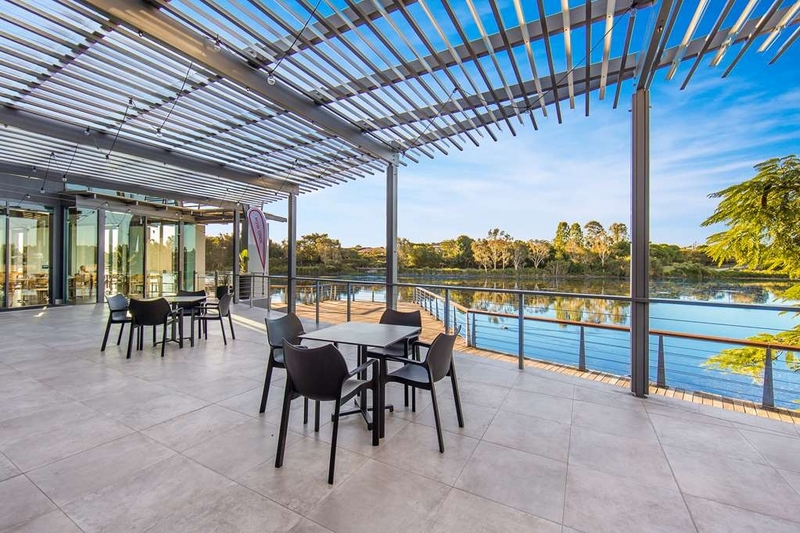 This modern hotel is well positioned beside a small lake with a boardwalk in front of the restaurant, which makes for a relaxing place to wind down after a big day. 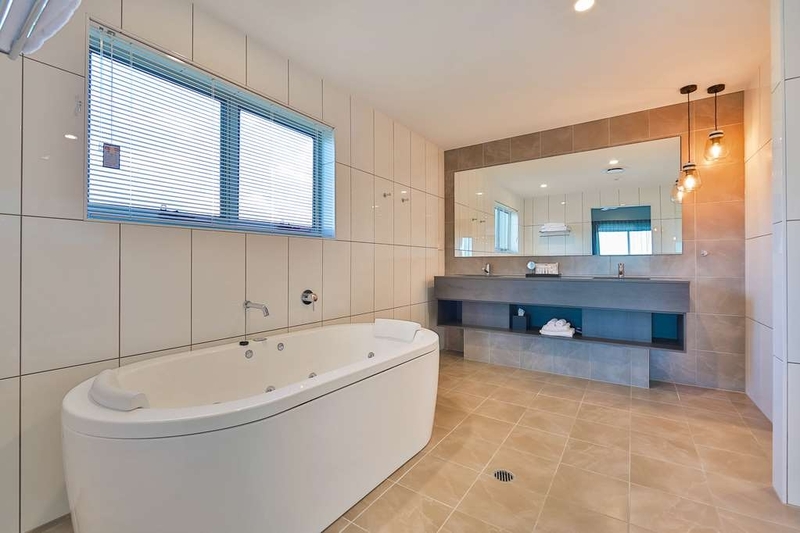 The rooms are clean, modern and well presented with good bathrooms. 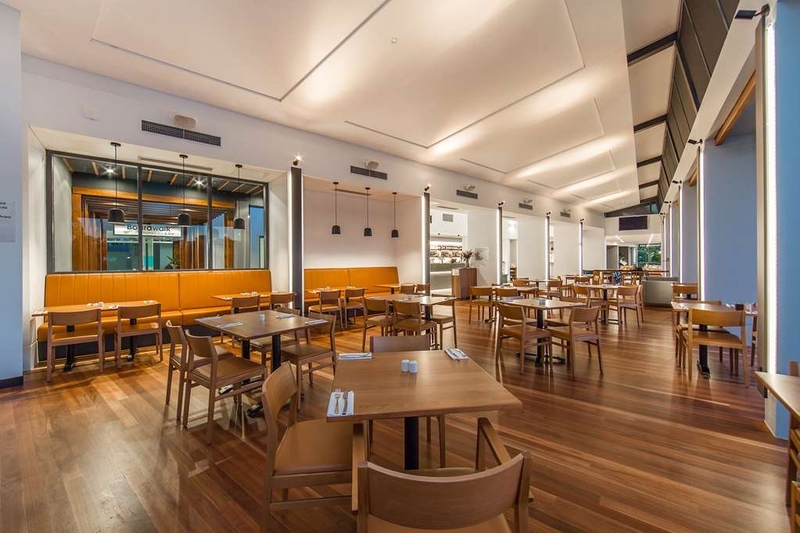 Very good buffet breakfast selection which is popular with the locals for weekend breakfast and coffee and the restaurant dinner menu and in room dining is very good. Quite peaceful and relaxing to unwind with a drink outside overlooking the lake. Hi tezthanomad The team love reading these reviews, we are very happy to see that you had a relaxing experience with us. Our restaurant is very popular especially with the views that you mentioned of the lake. We look forward to welcoming you back again soon. Very well presented Hotel. Handy location for our needs. Staff very helpful and knowledgeable.Easy parking and access to amenities.Good Internet service. Clean rooms well serviced by friendly pleasant cleaning staff. Hi CB C What a pleasure it is to read this wonderful review. Thank you for taking the time to leave it. Our staff do take a lot of pride in the service they provide and it is pleasing to see that is showing to our guests. We look forward to welcoming you back to the North Lakes hotel again soon. Hello Brendan Thank you for the review, I am glad we could arrange the early breakfast for you. I will ensure to pass on your comments about the helpful Staff. We look forward to seeing you again soon. 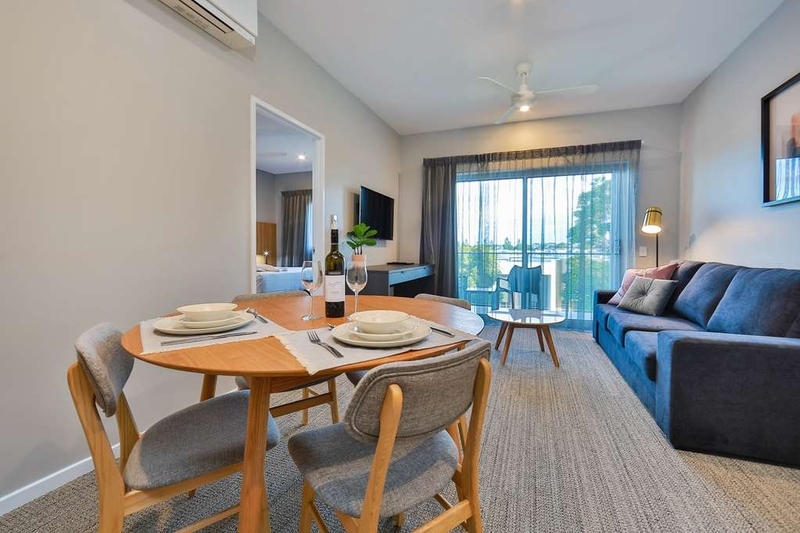 "3 Days at Best Western, North Lakes. August 2018." Great hotel. New and well presented. Helpful staff and good rooms. Quality of stay exceeded my expectations. Used the $50 2pm late check out option & $19 breakfast. Shall stay here again. Lake view rooms on the 3rd floor are best option imo. Hi Scausie Thank you for the review, it is always good to see guests enjoying themselves. We look forward to welcoming you back soon. 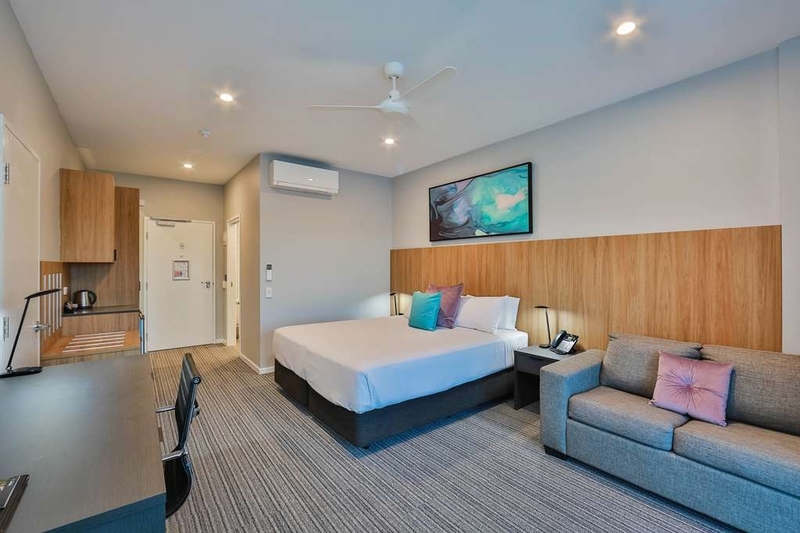 We wanted a hotel in a short distance north of Brisbane. It was an easy drive from the airport. We received a friendly welcome at the hotel even though we arrived a little early. Staff were efficient and friendly throughout. The room was well equipped. Bed comfortable. Good shower. The TV had netflix. Free fast Wi-Fi. The hotel is on the bank of Lake Eden which allowed a gentle stroll around the boardwalk in the evening. It rained next morning so no walk then! There are a number of restaurants in short walking or uber distance. Recommended. Thank you for your review regarding your recent stay at our property. We hope you will come back and see us again soon. "Check the number and type of beds"
It was our understanding the room was 2 queen beds. Pull out softer was not an enjoyable experience for the other 2 adults. 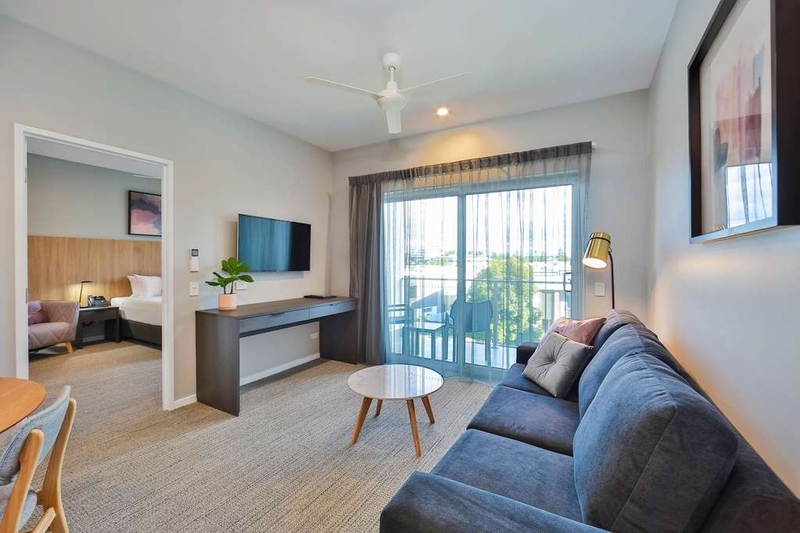 Should you need 2 rooms for s family it is too expensive.Suggest Rydges as better value. Thank you for your review regarding your recent stay at our property. On behalf of our entire team, I would like to apologise for not exceeding your expectations. 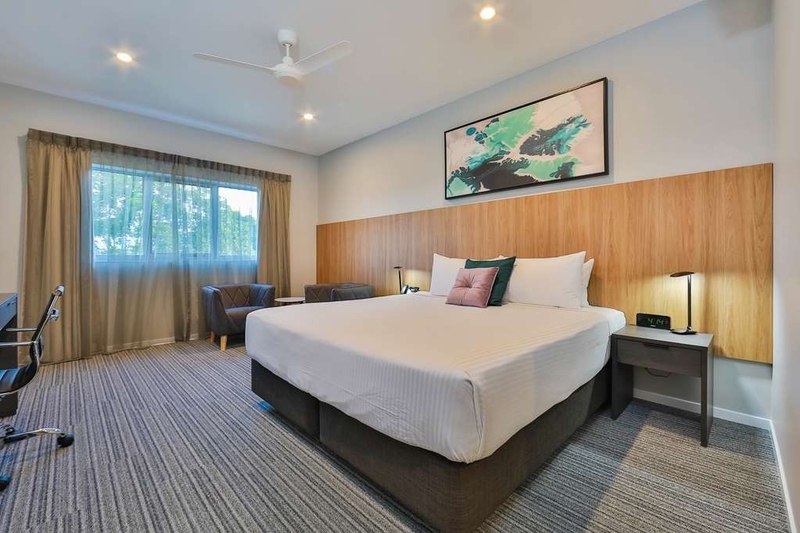 We do offer family rooms which may have been a better match for your stay, which would of provided a king bed or two singles for the other two adults. I hope that you will consider staying with us again so that we can have another chance to provide you with a superior experience. 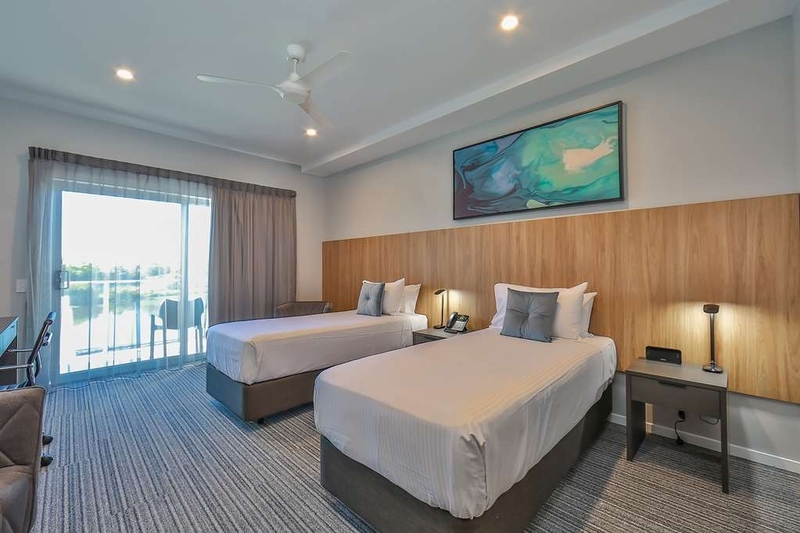 "Great location and beautiful rooms"
Love this Best western, unlike it's name same hotels this is a high class modern addition to the Best wester brand. 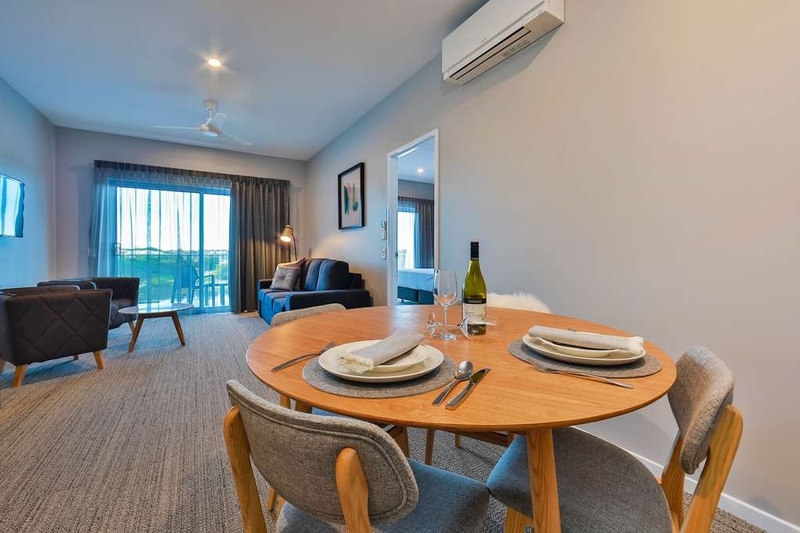 The fitting and furnishing are sleek and seemless with plea n t of room to move around with the Suits ideal for small business style meetings or family get-together when visiting the North lakes area. ALl the joys of Westfield just a skip and and a jump away. Loved this stay. 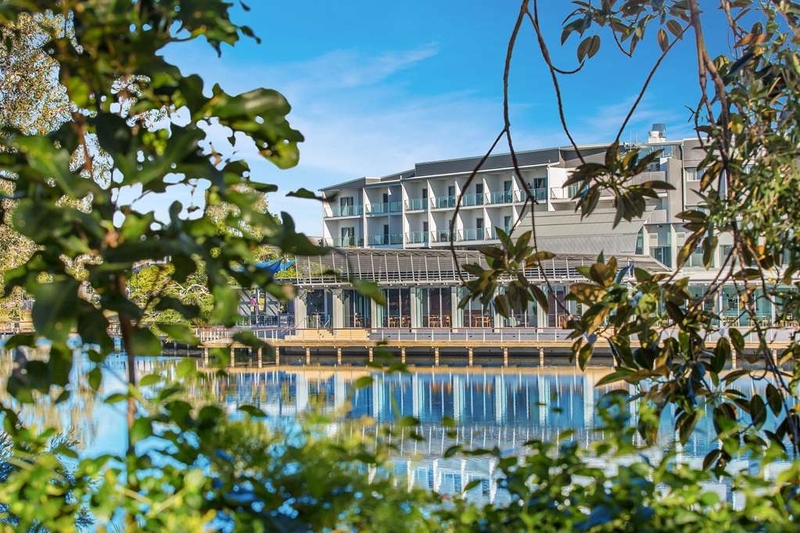 On the very edge of a lovely lake with swans, turtles and eels, and a myriad of other waterbirds, this hotel was only built in May. 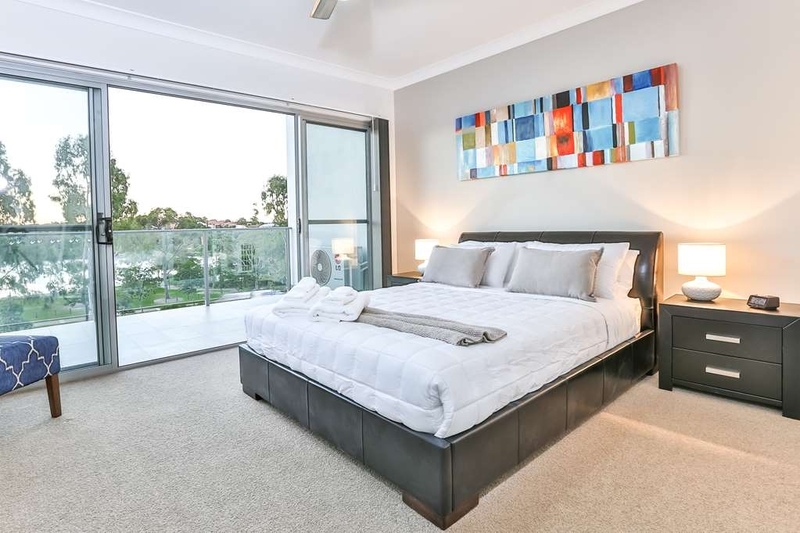 Rooms are squeaky clean and modern but with comfortable beds and a huge bathroom. Food in the restaurant is very nice, and young Wes in the bar was very good and helpful. The only reason I didn't give a 5 rating is because today (Mon 13th), we ordered drinks before lunch and had to wait nearly 30 minutes for them. It wasn't busy, and there were 2 people behind the bar (not Wes! ), with another person helping. We had an autistic person with us and he was hot and thirsty. Very disorganised. Apart from this,I would recommend this hotel to anyone. Great for families. "Best Western Plus North Lakes Hotel"
Room was exceptionally clean, friendly staff, easy check-in and check out. Parking was easy, and free. On site laundry is provided. Internet speed was fast and had no delays. Restaurant on site was easy to access and had great food options. 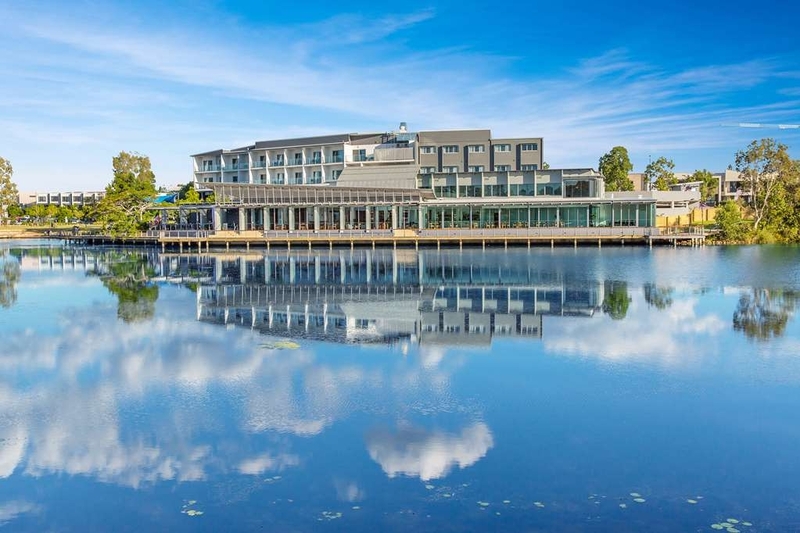 "New hotel in a parkland location"
"Great hotel location in North Lakes"
Very friendly and helpful staff - especially Cecilia (from Argentina). Checked in early and room was very spacious and comfortable. There is no door between the bedroom and the bathroom area, so no privacy if traveling as a couple (loo does have a sliding door). For some reason the air conditioning in the hallways was going full blast (in the Brisbane winter), which seemed like a waste of energy. Rooms were comfy with a nice view over the lake. There is a great boardwalk around the lake for walks. The restaurant has some teething challenges - I understand the property has only been open for about five months. It reminds me of one of Gordon Ramsey's projects to identity problems and improve! 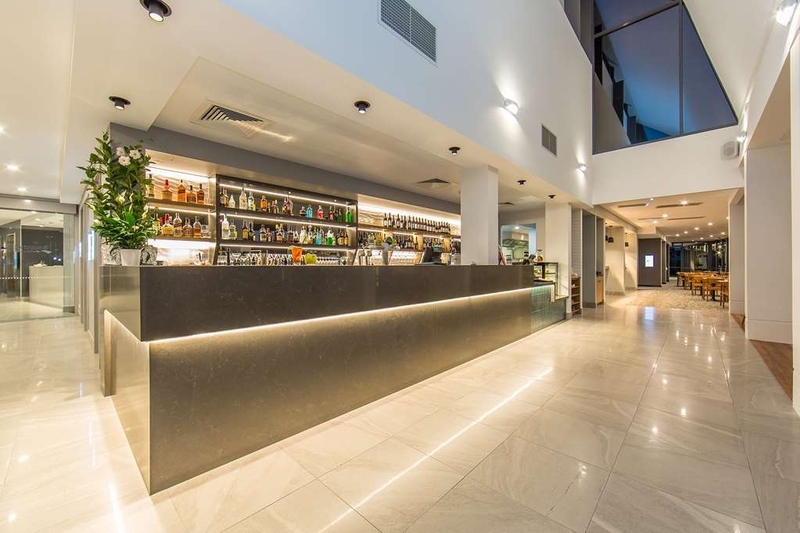 The staff are extremely friendly and very helpful, but the restaurant lacks vision. It's structured like a tavern, so you order at the bar, get a number, and find a table. Not quite what I imagined for a BW Plus hotel, but there must be an economic reason not to have table service. The space is actually divided up between an area that could be table service and a bar/snack area. I tried the pasta with chicken twice and it really disappointed - gloopy and not al dente like all good pastas should be. The few bits of chicken to be found were all the same size and consistency - obviously frozen and/or pre-packaged. I mentioned this to one of the waiters. The continental breakfast is disappointing compared to the many other BW hotels I have visited. Some canned fruit, a sparse plate of other fruit, and some pastries. For the price, it is reasonable, but the presentation is uninspiring as a breakfast buffet. This could easily be remedied with a little culinary "vision" - after all, presentation is everything in the hospitality industry. Overall, a good property, decent value for money, very comfortable rooms, and helpful and friendly staff. 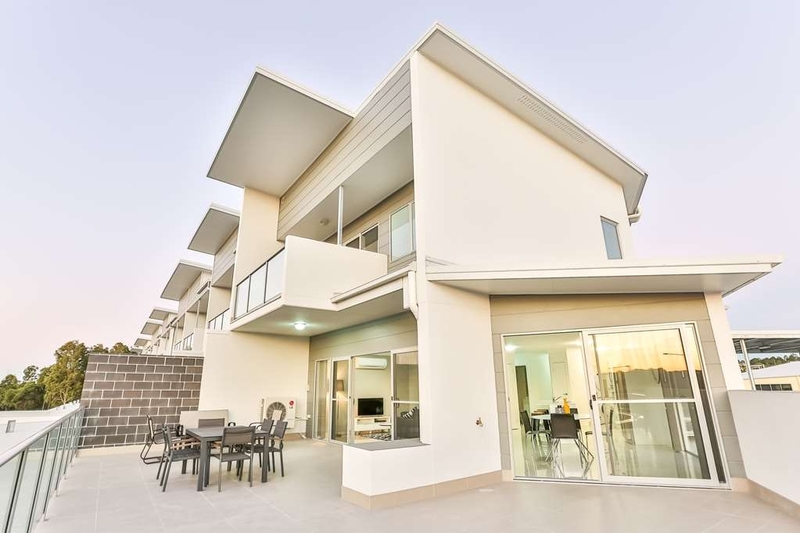 Easy parking, walking distance to public transport, and to the nearby shopping center. I would certainly stay here again. Thank you for your review regarding your recent stay at our property. Your business is very important to us and we value your feedback. By telling us what you liked about your stay and how we can improve, you are helping us deliver a superior experience for you and other guests in the future. We hope you will come back and see us again soon. Good under cover parking in a quiet location, The Restaurant in the Hotel has good quality food at a reasonable price, it is only a short walk to shopping and food. A very handy position .Highly recommended. "Our new base in Brisbane"
We enjoyed our stay at this hotel so much we organised to stay there again while passing back through Brisbane. Totally recommend staying on the lake side of the hotel so you get the beautiful sunrise in the morning. Breakfast next to the lake's boardwalk watching the bird life is also a real highlight. Thank you for your review regarding your recent stay at our property. We look forward to welcoming you back! Large king size bed, seemed bigger than ours at home. Bed Was spectacularly comfortable. 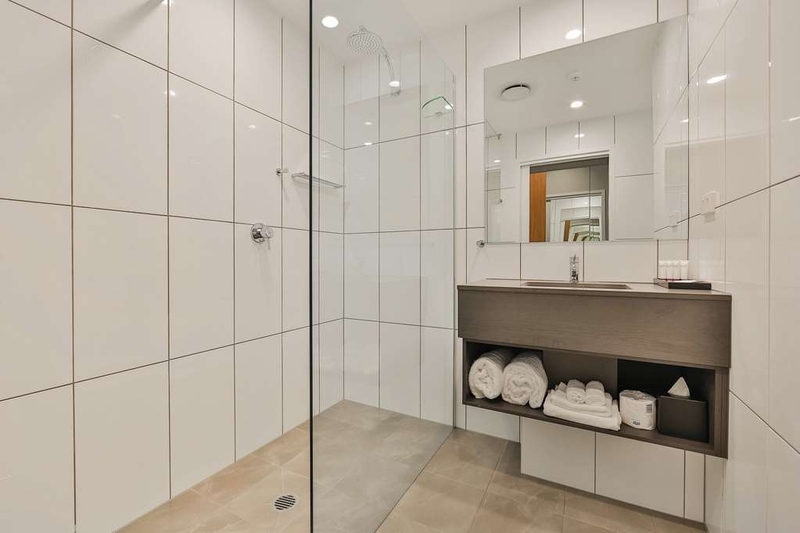 Easy access shower with lovely big rainfall style shower head. Room was well appointed. We had continental breakfast by the lake and it was lovely and fresh. Nice, clean hotel. Almost brand new. Everything worked, bed was comfy and internet was fast. Good in-room facilities; plentiful supply of hot beverage options. Some Foxtel channels included for free. Plenty of space in the room including hanging and storage space. Great value. 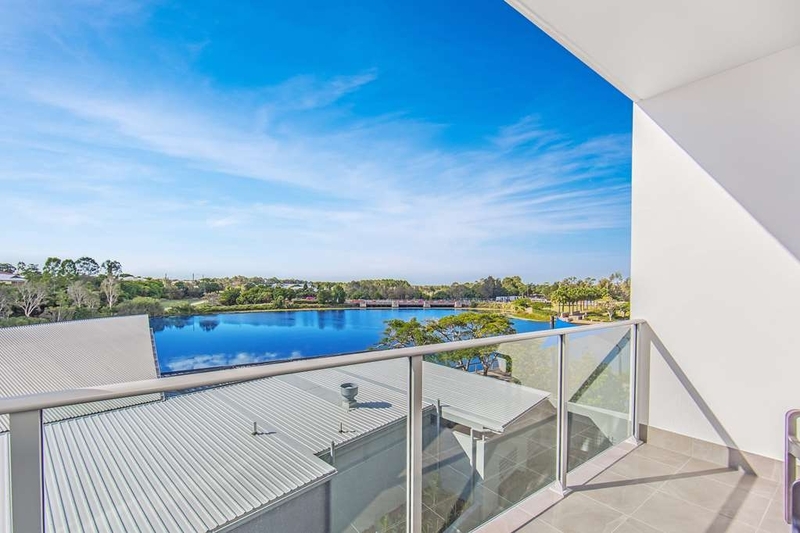 Very new.assume location and views of the lake. Very good staff. Under cover parking. 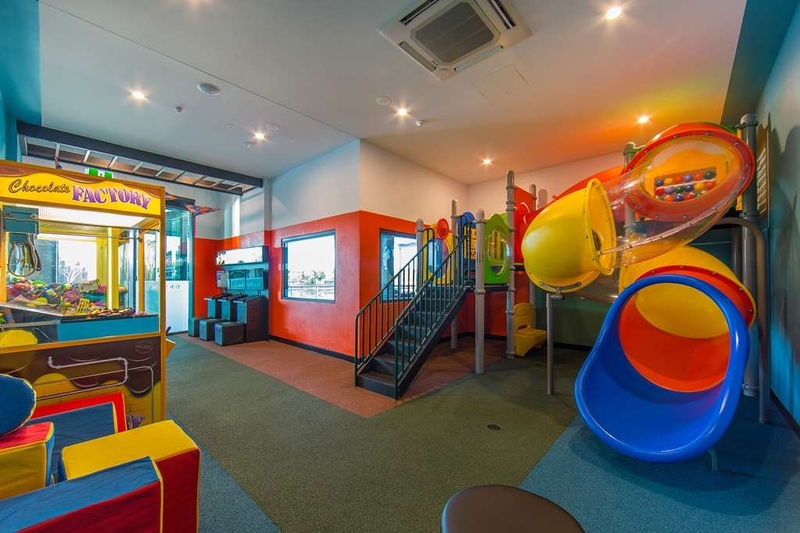 Kids play area in restaurant.very enjoyable stay.great shopping center 5 min walk.plenty restaurants near by.Has conference center and meeting room. 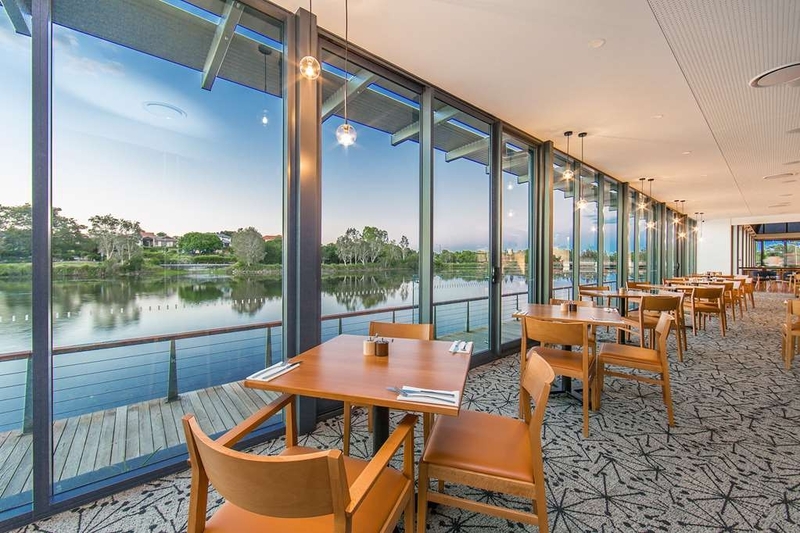 Restaurant has floor to ceiling glass overlooking the lake with lots of wild life. "Yep....Really Nice Place to Crash"
We were exhausted and unwell when we hit Salt Lake last night, no dinner, into bed by 7pm. Had the very best nights sleep and woke refreshed at 4.30 this morning. Then we used the in-house laundry. Things only got better. The most delightful shower ever. We are on our NYC to LA coach tour and the influenza is crippling most passengers, so we couldn't ask for a better nights rest. Thank you Best Western......the best. Thank you for your review, its great to hear your feedback. We hope your group is feeling better today! Thank you for your review. We are glad you enjoyed your stay and hope to welcome you back soon. Not as good as my first experience at the restaurant. Service was still very good but choice for GF reduced. Ended up just having coffee rather than lunch. Friend was also disappointed in his meal and left part of it. Thank you for taking the time to review the Boardwalk Restaurant. On behalf of our entire team, I would like to apologise for not exceeding your expectations. Your satisfaction is important to us and we will be using your feedback to implement improvements. 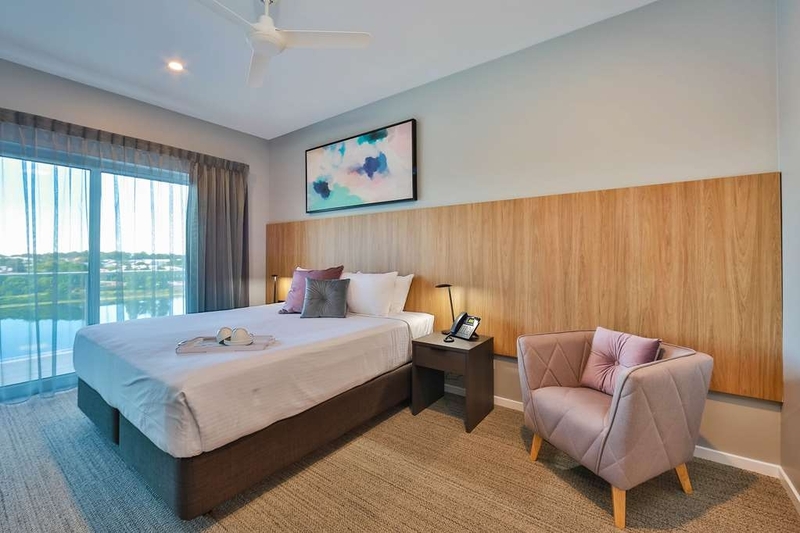 "Great New Brisbane Motel at North Lakes"
Quite astounded to find a brand new hotel at North Lakes in Brisbane at such a reasonable price. king size beds, amazingly large Bathroom, VERY COMFORTABLE. Good security and wonderful surroundings next to the lake. 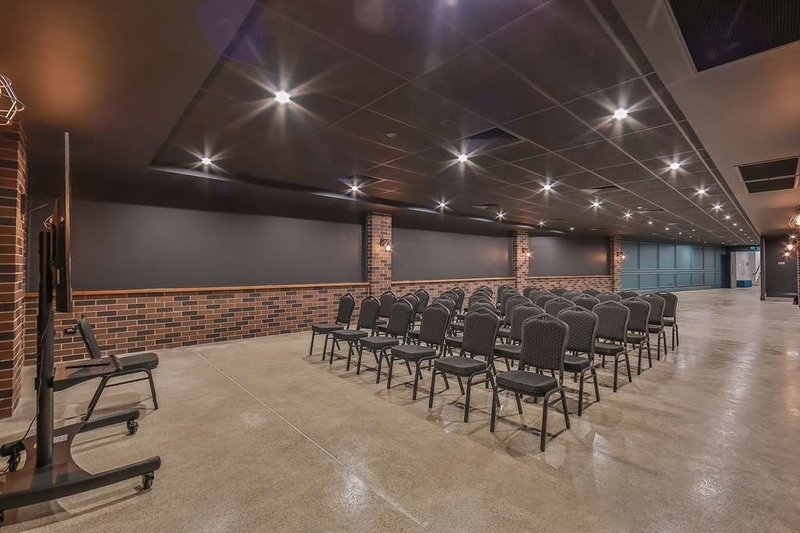 Conference Facilities available as well. Will definitely stay there next time we visit. Thank you for taking the time to review our hotel. We are glad you enjoyed your stay and hope to welcome you back soon! This is a brand new hotel. Great lake views with lovely birdlife. We stayed for 4 days. Food was great. Beer on tap was fresh and crisp. Very quiet in the room. Lovely walking trials. Bed took me into a coma like sleep after a long day. Thank you for your review Dieter. We are glad you enjoyed your stay and hope to welcome you back soon! Thank you for your review. We are glad you enjoyed the Boardwalk restaurant and hope to see you again soon. 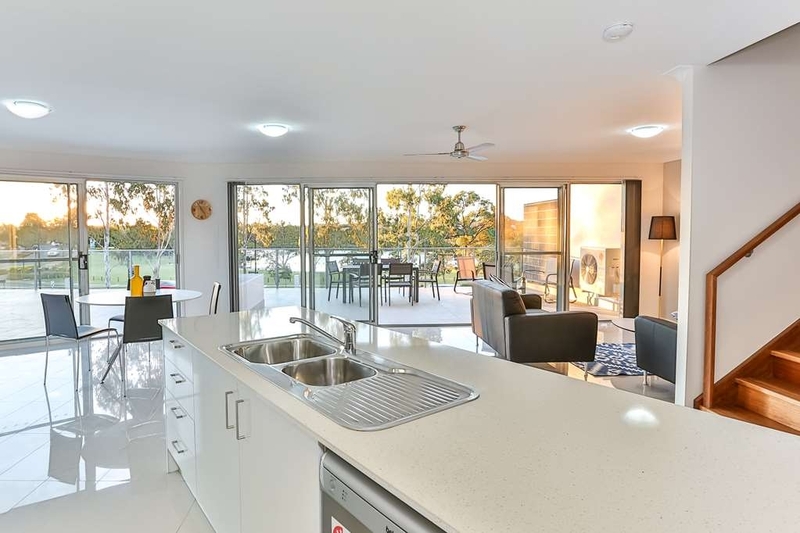 "Brand new option for North Lakes"
Excellent accommodation & outlook, close to entertainment & restaurant venue's. 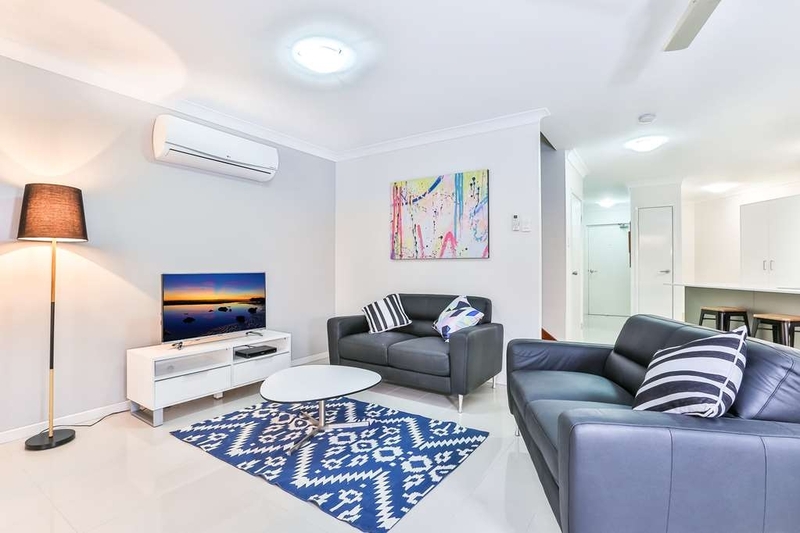 Ideal for anyone that has business to do on the north side of Brisbane. This brand new facility will suitable for our future needs in the area. Thank you for your review. We are glad you enjoyed your stay and hope to welcome you back soon! 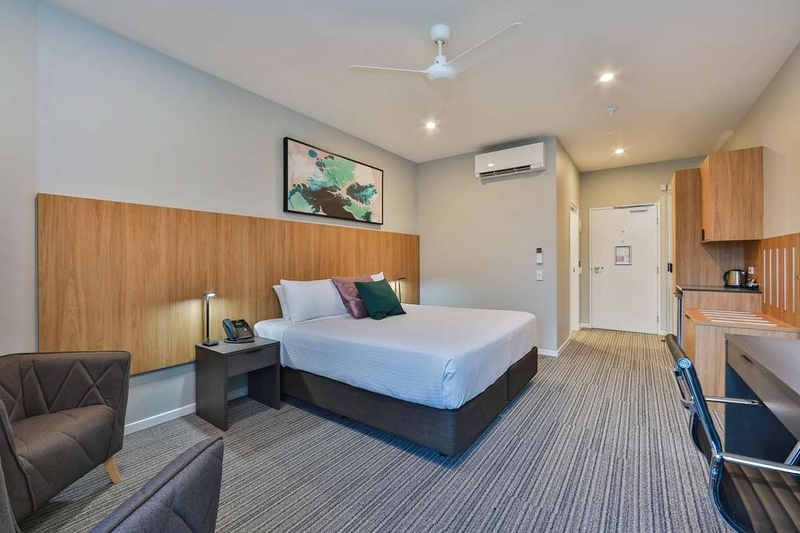 "Fantastic rooms, lovely staff, clean"
We were staying 1 night but extended our stay to 3 nights for the duration of our time in Brisbane. 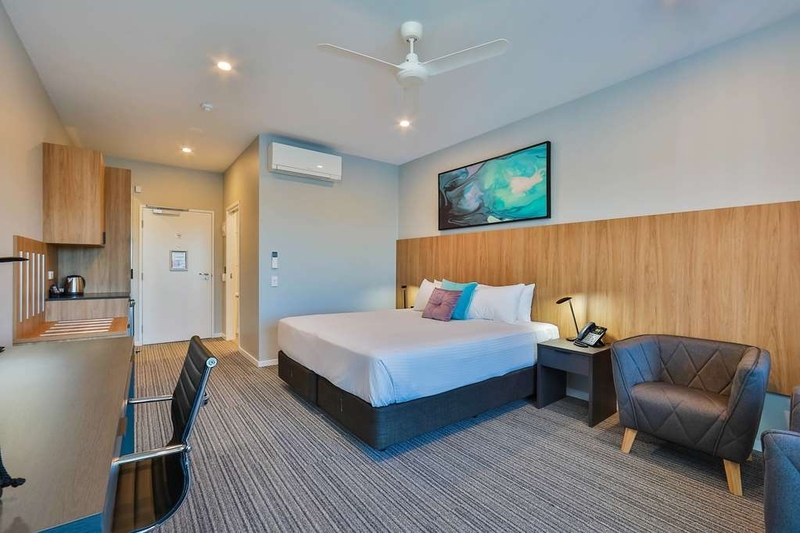 The room was spotless very clean, the location was perfect for where we needed to go for our time in Brisbane. The food was beautiful and very reasonably priced and the staff I cannot rate highly enough, very accomodating, friendly and professional. 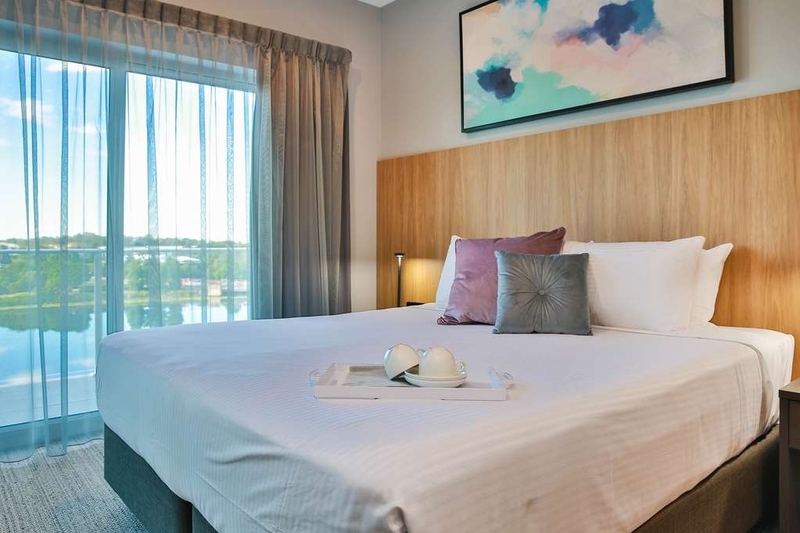 Each trip we do to Brisbane we will be staying at the Best Western Northlakes. Thank you for taking the time to review our property and we look forward to welcoming you again! Thank you for taking the time to advise us of your experience. We are sorry to hear you found the atmosphere lacking.There is a system to play background music and I will follow this up with the staff to make sure it is on each day. Family of four stayed in two interconnecting rooms. 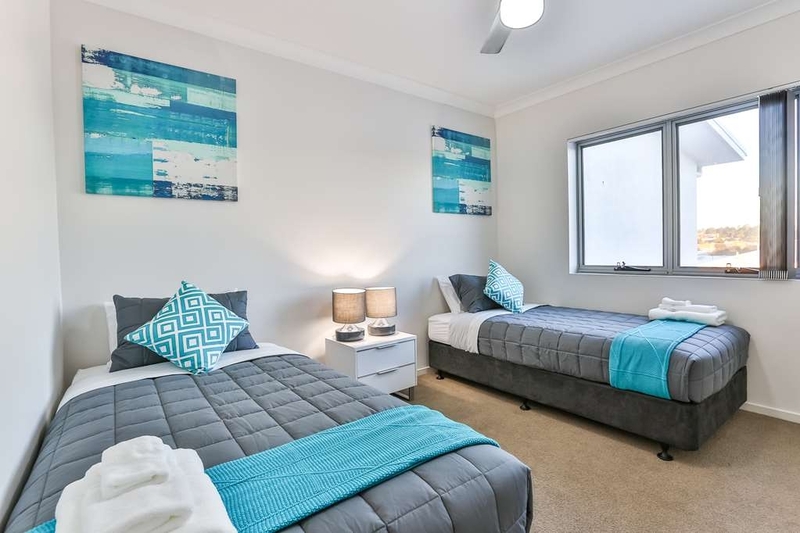 Very well equipped (ideal for business visits I think), clean and very very comfortable... Bed extremely comfortable. Great food at the restaurant with lovely view over the water. Well equipped for guests with kids (nice internal play area to one side and park just outside) without feeling like a kids restaurant. Kids loved walking around the lake and seeing all the wildlife : ducks, swans, so many cute turtles and some water dragons too. All in all we had a great stay and will stay again when visiting in the area. Thank you for your review Mienke. We are glad you enjoyed your stay and hope to welcome you back soon!